The AeroPress was invented by the frisbee maker Aerobie. 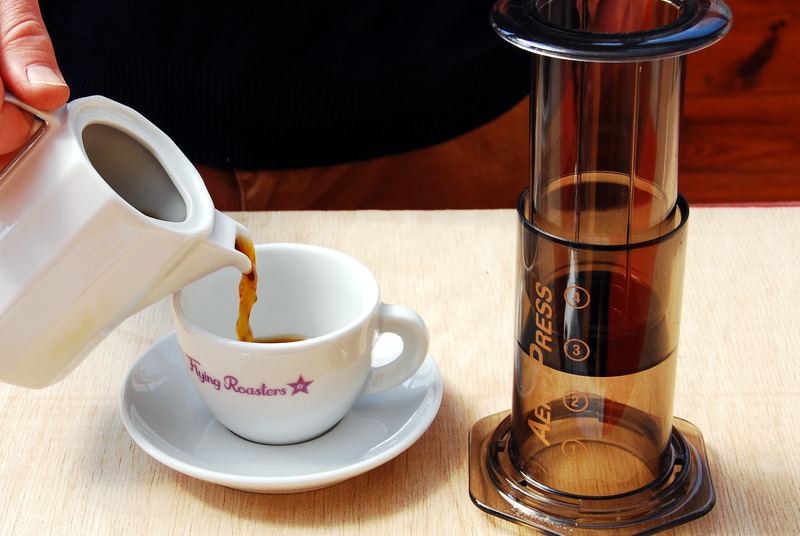 It is a wonderful, simple and durable device to brew coffee. It makes a rich, nuanced coffee with good body. 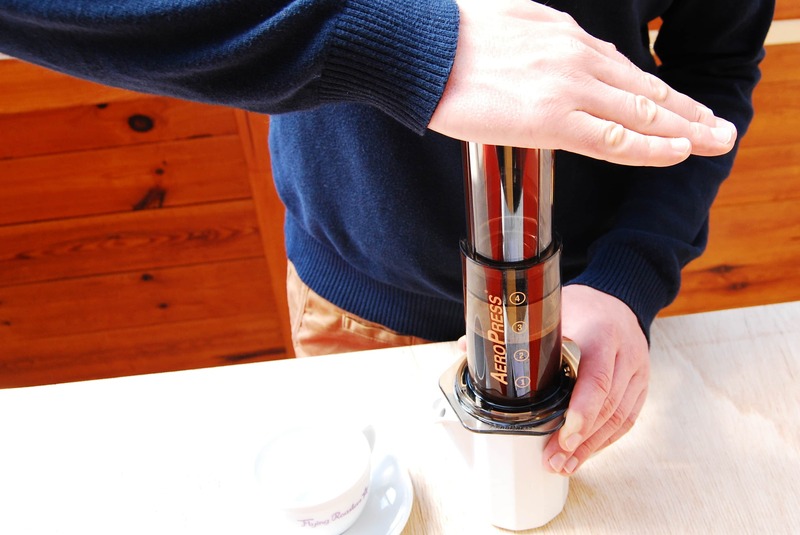 You can experiment a lot with the AeroPress and there are many different recipes: You can make a weaker coffee or a stronger one – almost as strong as with a Bialetti moka pot. We recommend this preparation method for the following of our coffees: Goldfinch, Fire Finch, Pintail, Funky and Hummingbird. 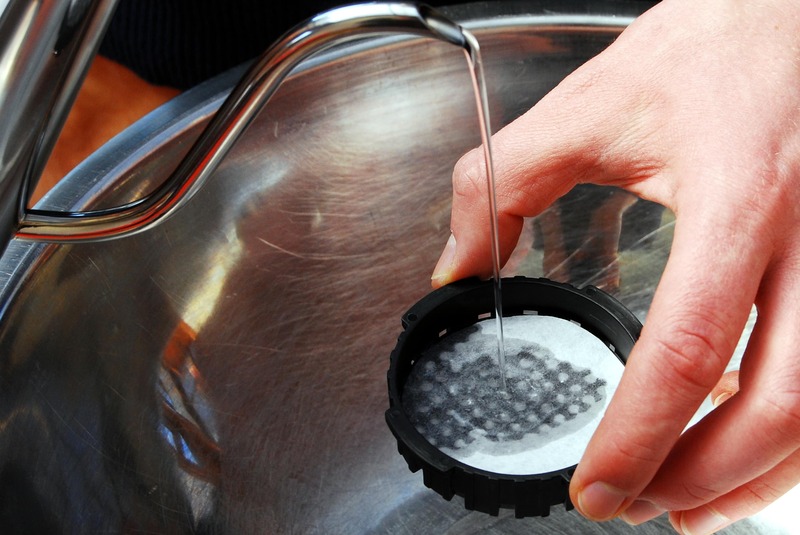 Insert a paper filter into the detachable plastic cap. Rinse the paper filter with water for about 10 seconds. 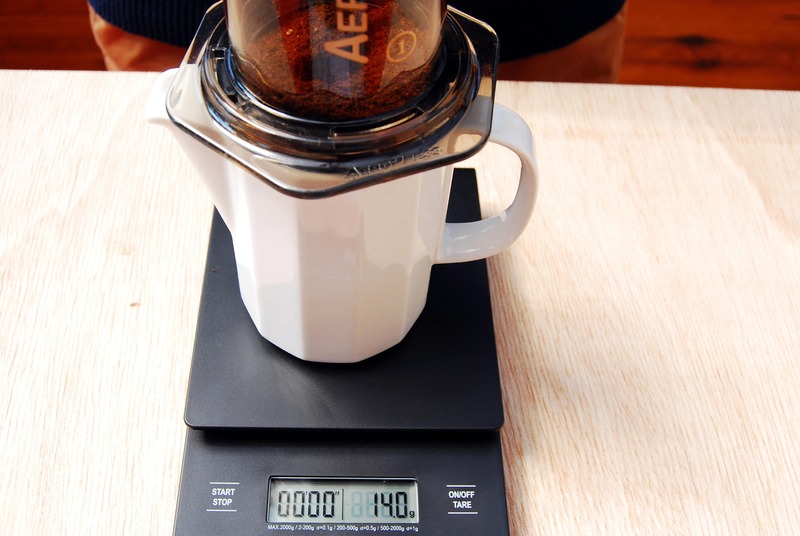 Fasten the cap and use 14 grams of freshly fine filter ground coffee. Grind should be slightly finer than sea salt. Pour 50 ml of water at about 95°C over the coffee. Stir 3 times and wait for 30 seconds. Pour another 150 ml and wait for 60 seconds. Place the handle on the AeroPress. This prevents the water from draining through the filter. 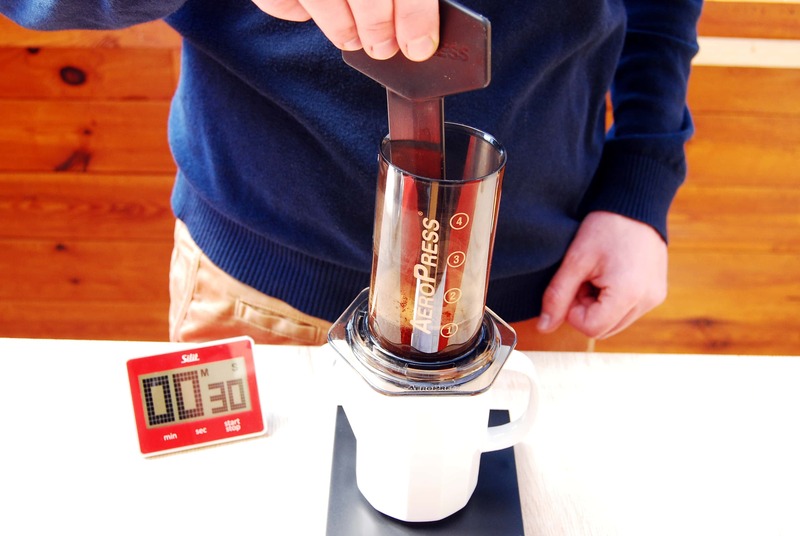 After 60 seconds, press the contents into a large cup or pitcher by using your body weight. Once it begins to make a hissing sound, your coffee is fully brewed. 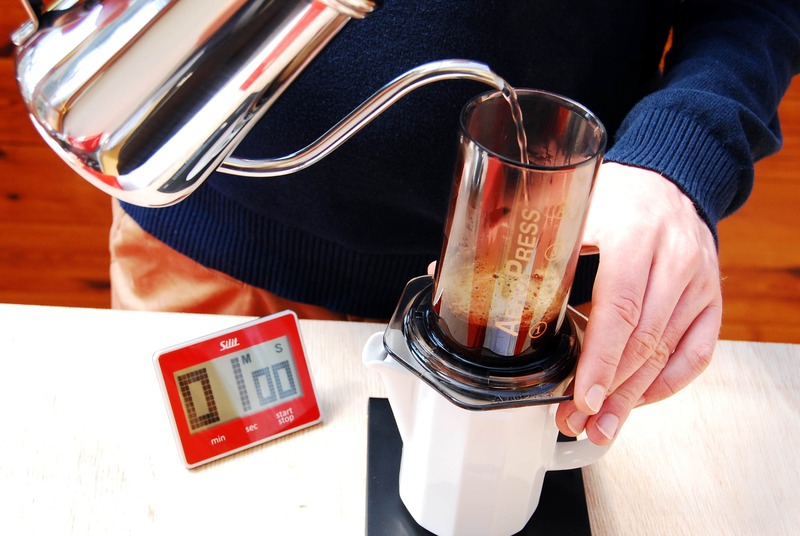 If you would also like to know how the inverted version works with the AeroPress or you have other questions about preparation, don’t hesitate to get in touch with us. Or come visit one of our home brewing workshops.